Gerry McEnroe joined the meeting in progress. Also in attendance were Phil Zisman, Executive Director of AIG, Anita Butler and Steve Perez’s nephew for Take Your Children to Work Day. Barbara DiTata and Ivette Morales were not in attendance. Robert Joyce (“Bob”) made a note that there were 14 board members present, and therefore, there was a quorum. 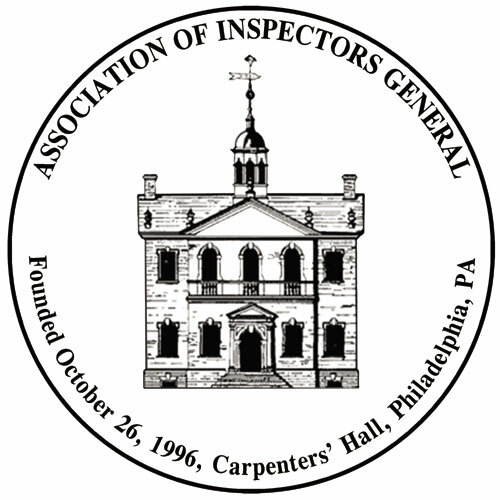 Steve stated that there are two main topics for today’s meeting: the AIG conference in October 2014 (“October Conference”) and proposed presentations for the October Conference that he wanted to present to the Board Members for consideration. Steve discussed various items relating to the October Conference. In terms of the presentations, Steve said that we have 19 sessions to conduct. We currently have five sessions set with presenters. We still need to fill 14 sessions. Steve had distributed before the meeting copies of emails and/or presentations presented to him for consideration. Steve said that Charles Willoughby (“Charles”), the retiring Washington DC IG had offered to present a session, but his outline was somewhat basic. Bob suggested, rather than decline Charles’ offer, that we should select a more appropriate topic, and see if Charles would be willing to cover that selected topic. All agreed. Steve said that Eric Feldman and his partner at Affiliated Monitors offered to present at topic regarding how IGs can assess the fraud risk posed by contractors with weak corporate cultures. There was concern by many that this presentation would seem like the presenters were lobbying for work for their firm. Steve had mentioned that Eric had originally agreed to moderate a panel dealing with Corporate Compliance Programs that would include an OIG; the ED from an association of corporate compliance officers; and a Corporate Compliance Officer from a firm who experienced integrity issues. Everyone agreed that this panel would be good and Eric would be a good moderator. Steve said that Ben Manis (“Ben”) offered to present on the topic of Internal Medicine. The group stated that it liked the topic Ben described regarding exam fraud, and recommended that we explore whether Ben could cover the topic of phony diplomas too. The group expressed approval of speakers Adam Wandt and Chelsea Binns covering the topic of Computer Crime but wanted to see a more detailed outline of their presentation. Steve urged all members to identify interesting speakers, and topics because we do not actually have a lot of time to make the arrangements. Steve reiterated that it is important that we offer interesting and applicable topics, and arrange for quality speakers. Another topic discussed was about IG offices that have police internal affairs functions, such as the Port Authority OIG, and the new NYPD OIG. Steve mentioned that the new DOI Commissioner could be a possible speaker, but we would need to identify a good topic. Also mentioned was the need for a possible topic relevant to auditors. Ned Benton mentioned the possibility of distributing an annual survey to AIG members to get current data and information on specific topics. He said that the AIG members are a valuable resource for this information since they are practicing in the IG field. The Board Member component of the meeting then concluded at approximately 8:50 a.m.
From 9:00 a.m. to 9:40 a.m., members of Thacher Associates provided a presentation on the topic of data analytics that they proposed to present at the October Conference. Everyone thought the topic was great and suggested that maybe two or three sessions be dedicated to data analytics. However, everyone was concerned with having Thacher having their own session and suggested that they participate on a panel of speakers on the topic. From 10:00 a.m. to 11:00 a.m., members of the MTA OIG gave a presentation regarding GPS, including legal aspects, workplace considerations, practical usages, and recent investigations conducted by the MTA OIG involving the use of GPS. A question and answer period followed the presentation. With no other business items, Steve concluded the meeting at 11:05 a.m.